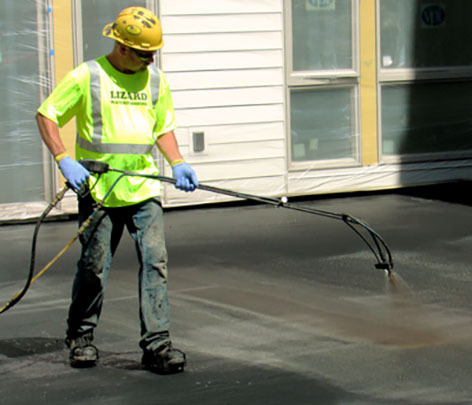 Choose the EPRO Post-Applied Deck Protection System Assembly That’s Right for the Job. EPRO Deck Protection System assemblies guard against water infiltration on podium decks, green roofs, planters, and balconies. These systems are designed for various deck applications, including split slabs, plywood substrates, green roofs, and pedestal and/or paver systems. 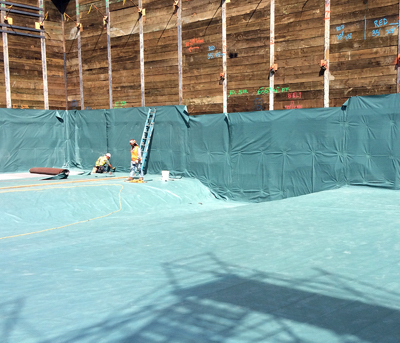 Designed for projects where performance is paramount, E.Protect+ Deck combines the benefits of a thermoplastic membrane protection course with two layers of reinforced monolithic fluid-applied membrane. 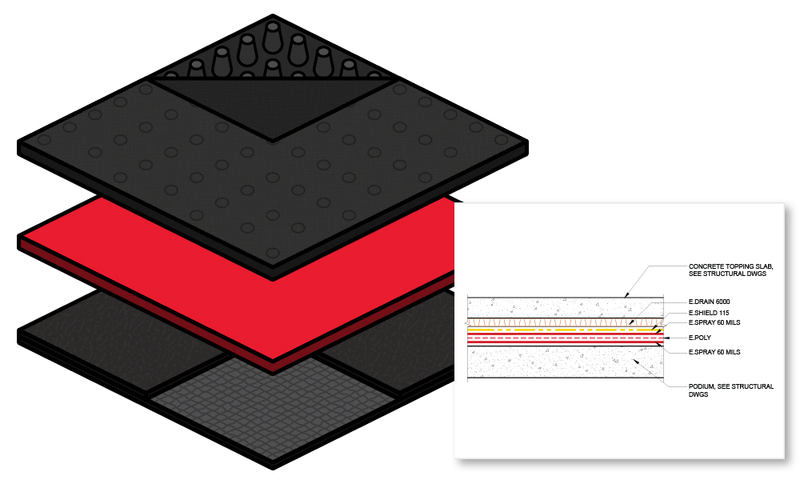 Ideal for deck applications sloped to area drains with a minimum slope of 1/8” per lineal foot, E.Protect+ Deck provides a fluid-applied deck assembly that is reinforced, and can be applied in less than ideal weather conditions. 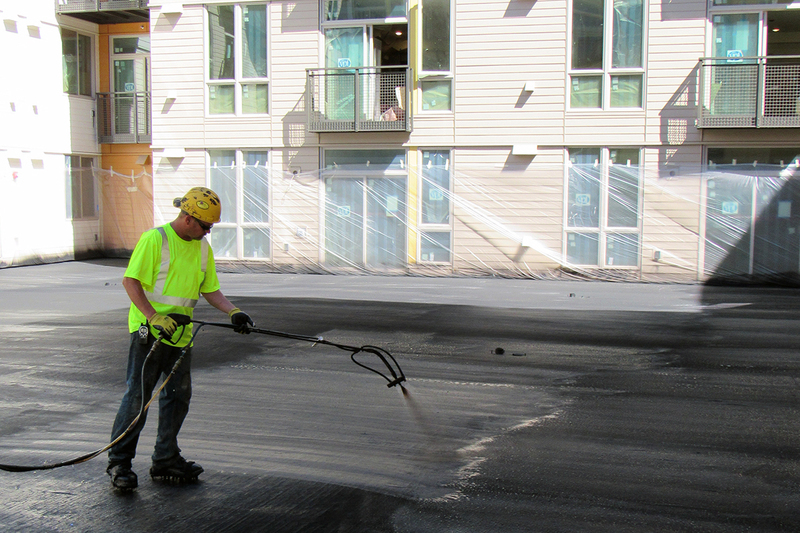 It can be used in conjunction with concrete topping slabs, pedestal and paver systems, green roofs, and planters. Ideal for deck applications sloped to area drains with a minimum slope of 1/8” per lineal foot, E.Protect Deck provides a fluid-applied deck assembly that is reinforced, and can be applied in less than ideal weather conditions. 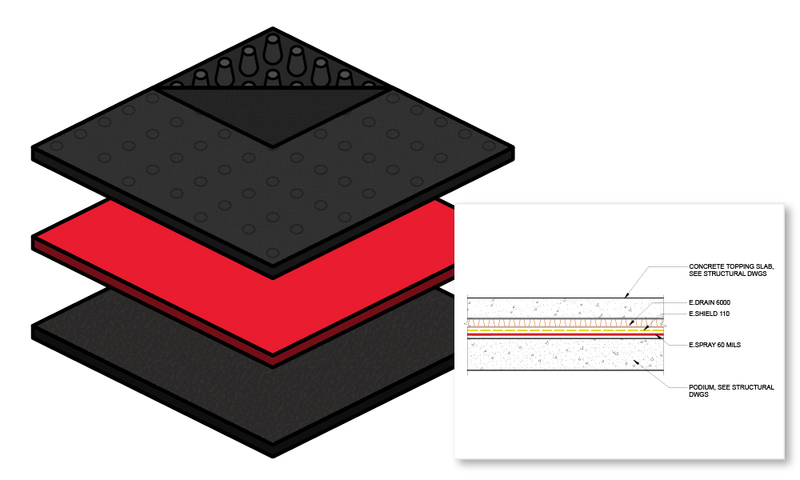 Ideal for smaller applications such as balconies and planters, E.Proformance Deck provides multiple layers of redundant protection for post-applied lightweight deck applications with concrete topping slabs and smaller deck applications, plywood substrates, and highly sloped decks. 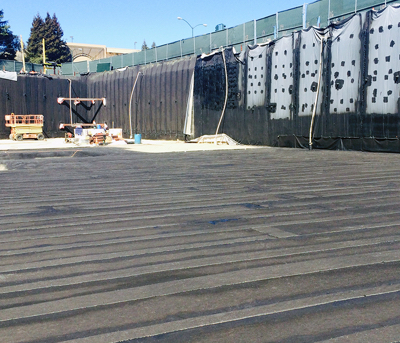 The E.Proformance Deck waterproofing system features fast application and is fully bonded to the substrate without a single seam.